State Minister at the Health Ministry, Duya Maumoon has resigned. She was appointed to the position on 5 January 2017. Dunya was the Foreign Minister before that and left the position after her father, the former President of the Maldives, Maumoon Abdul Gayoom, withdrew his support for President Yameen. Following her resignation from the Health Ministry, Dunya said that she stands firmly with her father at this time of national and personal tragedy. 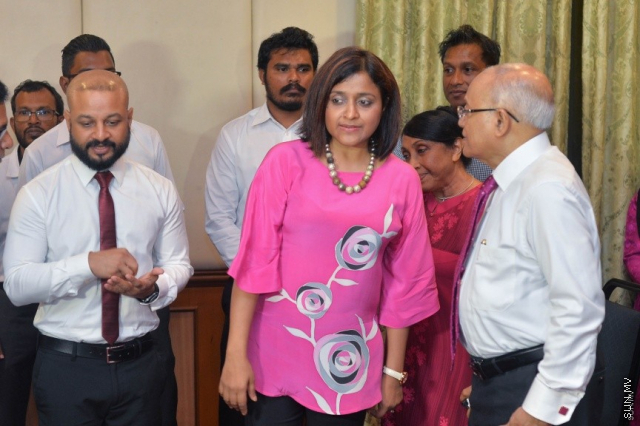 Dunya said that her father, Maumoon, is also a respected figure in the country with the love of the people as the root of modern development in the country. She said that a lot of effort is required to strengthen the independent and judicial institute of the country. She said that what we were witnessing today is the collapse of democracy under the sudden pressure from within and the outside world and we must return to the option of discussions to find a peaceful solution. The former Minister said that she would remain strong on her beliefs regardless of the opposition pressure and remain independent, without joining the opposition, as a proud Maldivian. She said that President Abdulla Yameen is her uncle and her father, Mauoon, too, shared a lot in electing him. Indicating to her resignation, Dunya went on leave from her duties on 13 February 2018. And she has recently, for the first time, called for the release of her father, who has been imprisoned with allegations of conspiracy to overthrow the government.